This is a new regular column on DMV to keep members informed of what the choir is doing and also feature some of its members. DMV was formed ten years ago by members of the society attending conversation evenings. We are extremely proud of our choir: it is the public face of the society as it widely promotes Italian culture through music and song and also entertains the Italian community. 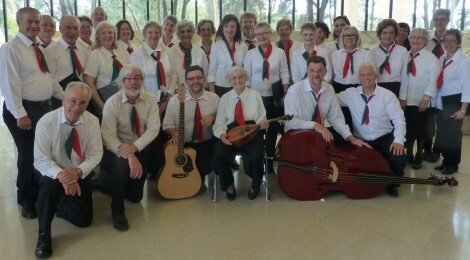 Since the beginning of the year, DMV has given four major performances: on 9 February at the National Multicultural Festival; on 16 March in the foyer of the High Court of Australia; on 18 May at the Italo-Australian Club where it held its second annual concert, lasting over two hours; and on 1 June at the celebrations for Italy’s national day at the Italian Cultural Centre. On 1 June DMV sang the two national anthems in the morning at the official opening of festivi-ties by Ambassador Pier Francesco Zazo and then again in the afternoon when it sang nine pieces to a very receptive audience. Its next big project is to record its second CD with entirely new pieces which include opera arias such as Libiam and Noi siamo zingarelle from La Traviata and Il coro degli zingari from Il trovatore. We open our feature column with Louise Ibbotson. Born in Perth, Louise initially worked as a portrait photographer and joined a drama school to study and perform drama and modern ballet. That’s where she met Phil, then a trainee teacher. They married in 1949 and had three children. The Ibbotsons subsequently lived in country towns where he was a teacher, and both performed or produced musicals – Louise sang or danced, or both. In Bunbury she ran a School of Modern Ballet. The Ibbotsons moved to Canberra in 1977. Louise’s father had been a soldier in WW2, had been taken prisoner and was held in N. Italy but he had run away after 18 months. The villagers who sheltered him appreciated his musical skills and gave him a mandolin to play for them – and mandolin from her father and it is the mandolin she still plays for DMV. 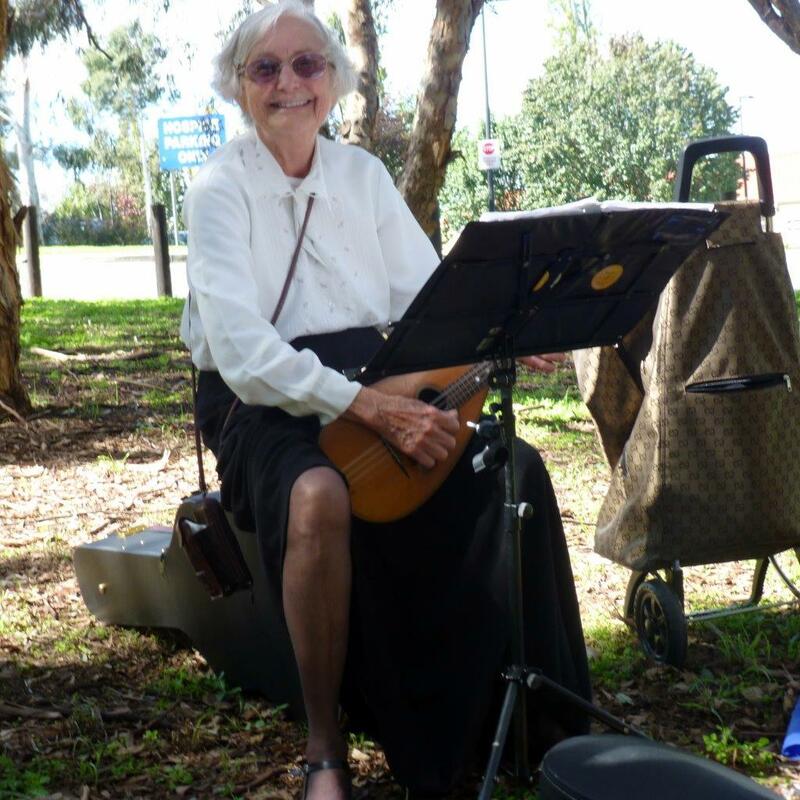 Before joining DMV (to which she was recruited by Francesco Sofo) Louise was playing with the Canberra Mandolin Orchestra. She maintains her playing commitments with the CMO and we are delighted she still maintains her involvement with us. “I am proud to say now we have a very good choir who look good and sing beautifully. My father, if he had lived, would have been very proud to know that as a thank-you to Italian people, I play that same mandolin for the choir” said Louise. On a more practical note, Louise ‘designed’ the DMV uniform (white top, black skirt/trousers and a green-red scarf/neck tie to create the col-ours of the Italian flag) and made all the neck ties for us. Thank you Louise: you are a fantastic member of the choir!